Non woven fabric – Fits 8 spray cans – Strong 4cm. handles – Main compartment can be closed with zipper – Slide pocket in flap can be closed with velcro – There are 2 slide pockets for caps in side of bag – Size: 31 x 26.5 x 16.5 cm. 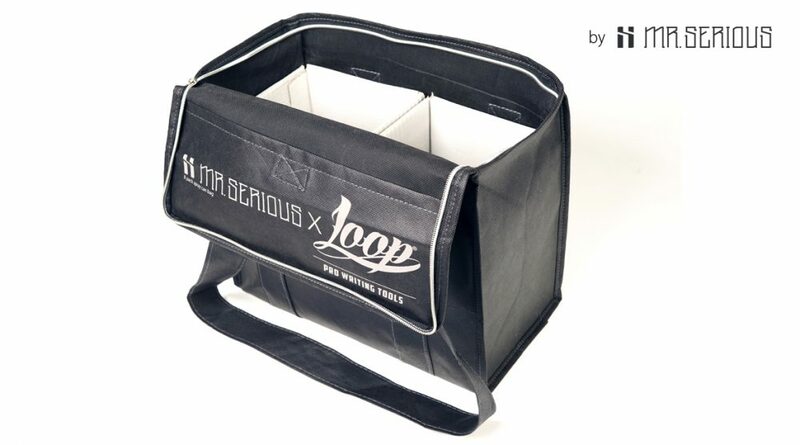 Loop Colors and Mr.Serious, two leading brands of the world’s graffiti scene collaborate, creating this perfect bag for the Loop Box size, allowing you to carry up to 8 sprays.